Do you see the passion we have as humans every time we place our all into something? You can see it in the passion of the musician, you can see it in the buildings we build so high, you can see it in the art of our past and present, you see our passion in all that we create. 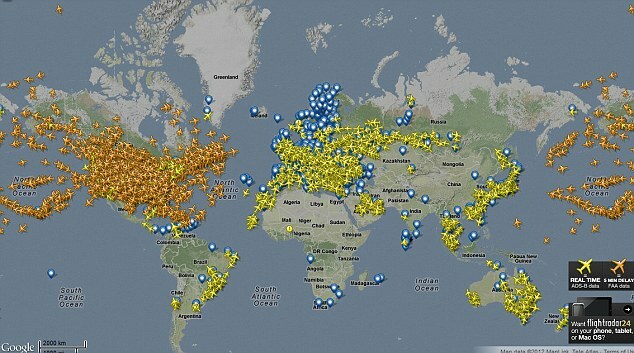 Perhaps one of the most obvious examples of how good our collective passion is, can be seen within our passion of the aircraft system of transportation that we have created. Have a look for yourself. 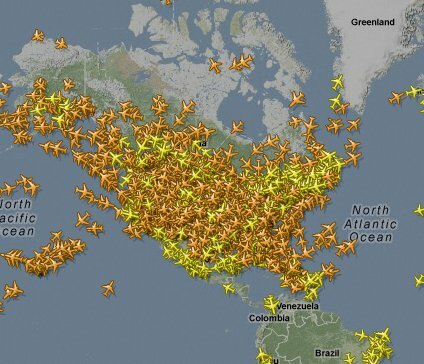 These are radar sat images taken from space on an average day of air traffic. These are not time-lapse photos representing air traffic over a period of time rather they are snapshots of the air traffic at that precise moment the picture was taken. Pretty baffling huh? It’s no wonder there aren’t planes and body parts raining down from the skies above. But why doesn’t that happen? Things are not raining down from the sky above because when we collectively put our minds, hearts and souls into something, and we attack it with our most inner passions, we ARE that good. And so the time has now come in which we must collectively place such passion into our personal lives and our collective well being. That we must now take that inner passion that is within each of us, and we must begin to place that passion into doing what is true, correct and right. And each of us must begin to do this first personally, and then collectively. The passion of the Christ is not outside of you. It is within you. And now it is time to put that passion to true works. We must do this for you. For yours. For us. And for the sake of our collective powers so that we may all begin upon our final approach to Kingdom Come. As it once was said and so shall it be, this will be done, thy kingdom come. The kingdom awaits our approach. And now, with our individual and then collective passions, we may begin that approach.